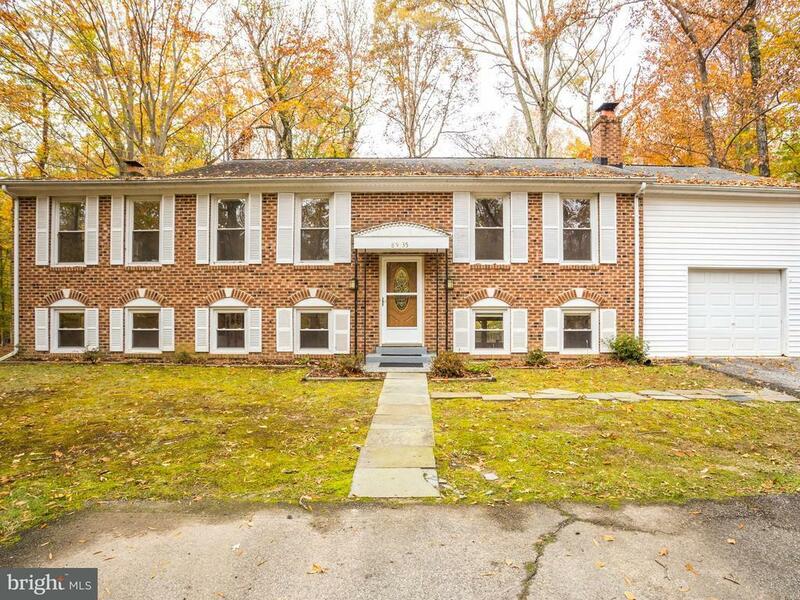 Fantastic oversized all brick split foyer located on a private, level 2 acre lot. Expanded master BR suite (3rd upstairs bedroom removed), remodeled bathrooms, hardwood floors, 1 car garage, eat-in kitchen leading to large deck overlooking fenced back yard. Finished walkout basement with brick fireplace in rec room plus 2 bedrooms and another full bath. More than enough room for a growing family!